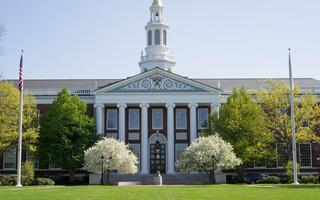 Two summers after the initial launch of HBX CORe, the Business School’s online “primer” on business fundamentals, College students who participated in the program reported general satisfaction, citing only few specific criticisms. 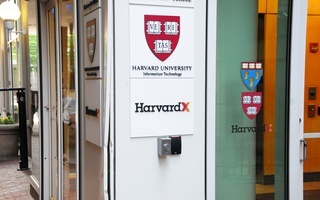 Since last year, HBX CORe has made a concerted effort to reach out to students at the College, partnering officially, and somewhat controversially, with the Undergraduate Council to inform students about the program. Kylie Hung ’18, who took the course while interning in New York and, later, tutoring in China, said that CORe covered material that she wouldn’t have learned during the year. 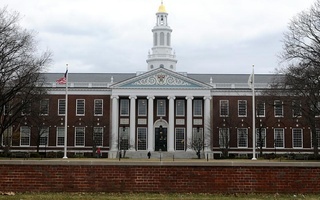 “I definitely recommend it if you’re interested in learning about business, because I don’t think I would have taken any accounting courses in Harvard,” said Hung. Uliana V. Savostenko ’16, who took the course from Armenia during her internship over the summer, praised HBX CORe as much more effective than her previous online experiences. She cited the combination of “videos, texts, and practice problems” that HBX CORe employs instead of a more traditional block of lecture. Alina G. Muñoz ’18, who took the course from her home in New York, said that she enjoyed the community both virtually, through the course Facebook group, and physically, through HBX CORe networking events in New York. She also praised the peer-based academic support, offered through a unique chat feature throughout the modules. But while students were, on the whole, positive, they cited some criticisms ranging from false advertising about the amount of time the program would take to frustrations with the online learning environment. Savostenko reported that the the program took her around 15 hours per week, significantly more than she had anticipated. “I feel like when they advertise it, it’s like ‘12 hours per week,’ [but] in reality it’s not that easy to combine an internship and the CORe classes,” said Savostenko. According to Hung, peers often complained of technical difficulties with CORe. Hung said that she also found communication within an online environment challenging. At press time, HBX representatives had not responded to a number of questions sent on Wednesday night, including a request for statistics on the number of students at the College who enrolled this summer and the performance of last summer’s College students in the CORe program.